The “Holy Trinity” and “the Triune God”—these words have caused much controversy and division among the Christians all over the world. 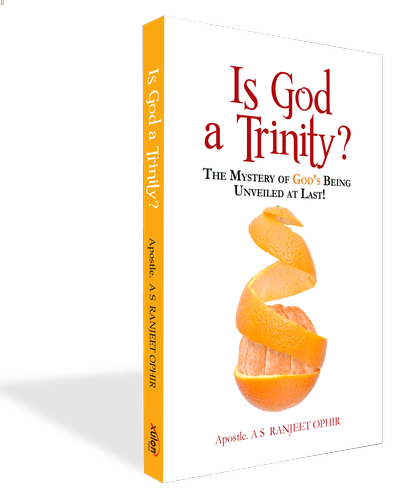 Yet I have announced in the very title without any hesitation that God is a Trinity. I made such a bold announcement because I am more than confident that I can prove beyond the scope of doubt that God really is a Trinity! I am aware that the Jehovah’s Witnesses don’t believe in a Triune God. Other denominations like the Unitarians and the Brenhamites (the followers of Brother William Brenham) too do not believe in the Holy Trinity. The main objection of Islam toward Christianity is that the Christians believe in three Gods in the guise of the doctrine of Trinity. Islam maintains that God is one, and there is none besides him who is equal with him. Islam charges the Christians of believing a polytheistic doctrine about God.